Shihan Rick Cunningham demonstrates bunkai at the KIMAA seminar. 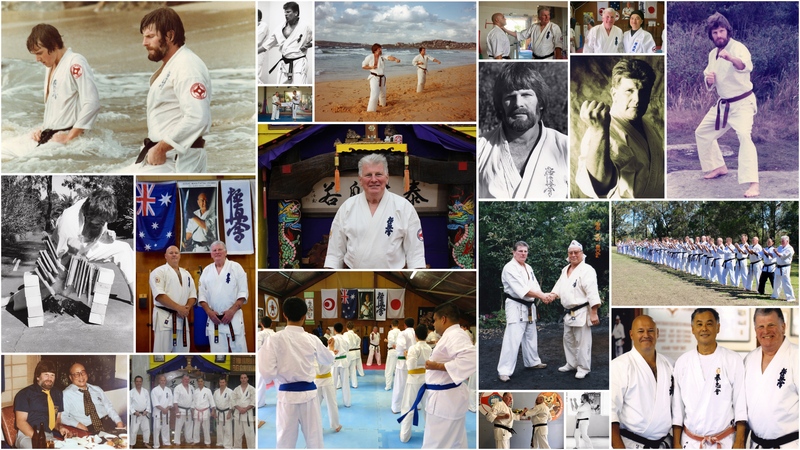 On the weekend of March 23-24, 2019, the first KIMAA seminar of the year was held at Sydney’s Annangrove Dojo, run by Hanshi Howard Lipman and Shihan Rick Cunningham. Karateka from across New South Wales and Queensland KIMAA dojos attended the weekend. On the Saturday morning, Hanshi Howard led a basics and bunkai session. The focus was on correcting students’ technique, as Hanshi stressed the importance of maintaining Sosai’s legacy for perfection. This included blocking combinations, and moving backwards and forwards in stance. As the day continued, students were broken up by grade. Juniors focused on kata, both new forms and revision of existing patterns. The seniors were given a lesson in competition judging, specifically in tournament refereeing. Sunday saw a revision of Saturday’s lessons. Sempai Patricia Tan began the session with a Tai Chi muscle warm-up before the class got into basics again. This was followed by more kata and bunkai. Thank you to all who participated in the seminar. Photography and videography by Sempai Jonathan Lee. 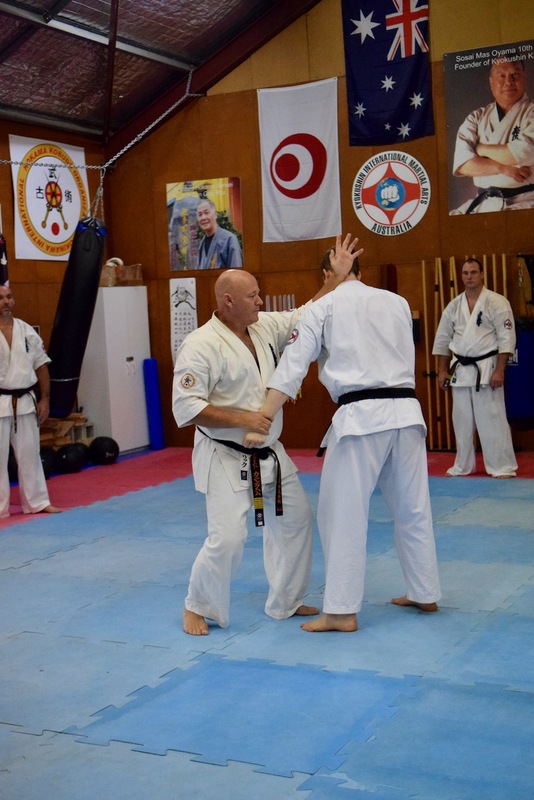 This February weekend held the first Senior Kyu grades and Black Belt training for 2019, held at Turramurra Dojo. Students studied senior kata and bunkai after basics. The class finished with conditioning and conditioning exercises. In 1969, Hanshi Howard Lipman began his study of the martial arts, at age twenty-seven. He practiced Shotokan Karate for two years, then from 1971 to 2019 he has trained – and continues to – in Kyokushin Karate. Hanshi Howard has devoted 48 years to Kyokushin and 50 years overall to the study of the martial arts, and continues to teach to this day. We congratulate Hanshi Howard on this incredible milestone. The first KIMAA seminar of the year will be held at Annangrove Dojo, Sydney, on the weekend of 23-24 March. The seminar will cover grading requirements, kata, Bunkai and fight training. For senior students there will be two sessions covering Refereeing and corner judging for tournaments. On Saturday, training will run 9 am – 4 pm and on Sunday 9 am – 3 pm. On both days, please arrive no later than 8.30 to change and warm-up so we can start on time promptly. For those who train in the Kids classes rather than with the Adults, your session will just be 9 am – 1 pm on the Sunday. If you’re unsure which category your child is in, please ask your instructor. Lunch is included. You will need to bring: towel, gloves, shin pads, mouth guard, groin guard, shoes suitable for outdoor training, hat, sun screen, water and plenty of Kyokushin spirit. Please download the appropriate form below, print, fill out and return to your instructor with payment ASAP. If you have any queries, please contact Hanshi Howard Lipman or Shihan Rick Cunningham at the contact information through those links. The 2019 KIMAA calendar is now available! Look up all the important dates for seminars and gradings by clicking here. Tournament dates and additional Kobudo training sessions for Sydney will be added in time – keep checking the calendar and our Facebook pages to stay informed.